Welcome back to our blog, where we discuss all things RV! In our last post, we went over some great tips for buying your first home on wheels. In this post, we are going to switch gears and go over some things for our RV veterans out there. 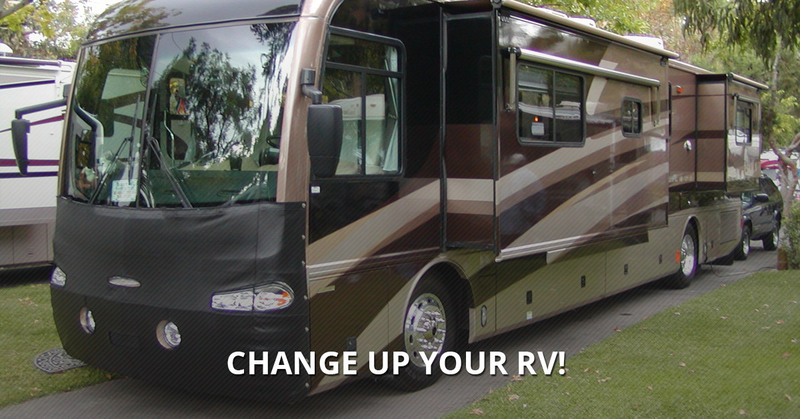 If you have had your RV for a few years, you will start to see the wear and tear. Instead of investing in a whole new RV, save your pennies and fix up the one you have. Then, with the money you save, come visit our RV park in Louisiana! At Frog City RV Park, we make RV living a piece of cake. 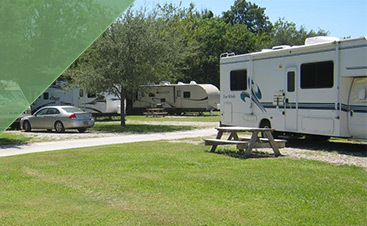 Our RV grounds have hot showers, a pool, laundry facilities, a dog walk area, and more! Our RV campground can be a great pitstop on a cross-country road trip or a great vacation destination. Check out some amazing ways to revamp your RV today! Many RVs come standard with a dinette table, which is an area that is bolted down to the floor of the RV. If your dinette table has seen better days, it may be time for an upgrade. One way you can spruce up the dining area is by implementing an actual table and chairs. Picking the right dining set will help make your RV truly feel like home. Make sure you do your measurements and don’t get furniture that’s too big for this smaller space. Picking a set of tables and chairs gives you more style options as well. Make sure you have a way to anchor the furniture to the RV, as this will prevent accidents and keep you and your family safe! Once your carpet becomes an eyesore, it’s time to be out with the old and in with the new. Try and be smart when picking out new RV carpeting. Pay attention to texture and color, as well as the amount. Be sure to measure the area where you are replacing the carpet. After, you need to remove all the furniture within the RV so are you are able to remove the old carpet more easily. Install the new carpet, and make sure it’s secure by using an air stapler. Once the carpet is in place, put your RV back together. Your home on wheels will look almost unrecognizable with this new improvement! Many RVs come with storage solutions, such as a fold out couch. This piece of furniture is designed to be a bed and couch and to mainly save space. If your fold out is not comfortable or is looking rather drab, time to change it up! When you decide to replace your fold out, it is imperative to measure the space and to measure the largest opening of the RV, because you want to ensure the new furniture will fit into the RV. Removing the original sofa that came with the RV will leave visible holes; you want to cover these up as well as bolt down the new sofa bed. This is just the beginning of ways to make your RV fabulous. 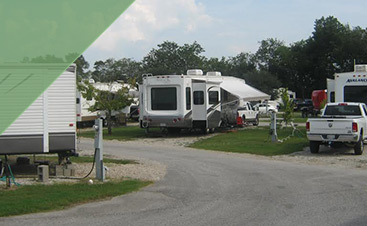 Once your RV is ready to hit the road, come down to our RV park in Louisiana. 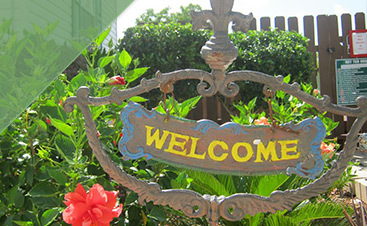 Enjoy the warm weather, outdoor pool, and other great amenities our RV park has to offer. Check back for our next blog with more ways to revamp your RV.